Intrinsi B12/Folate features vitamin B12 and folate in combination with intrinsic factor for enhanced absorption and utilization. 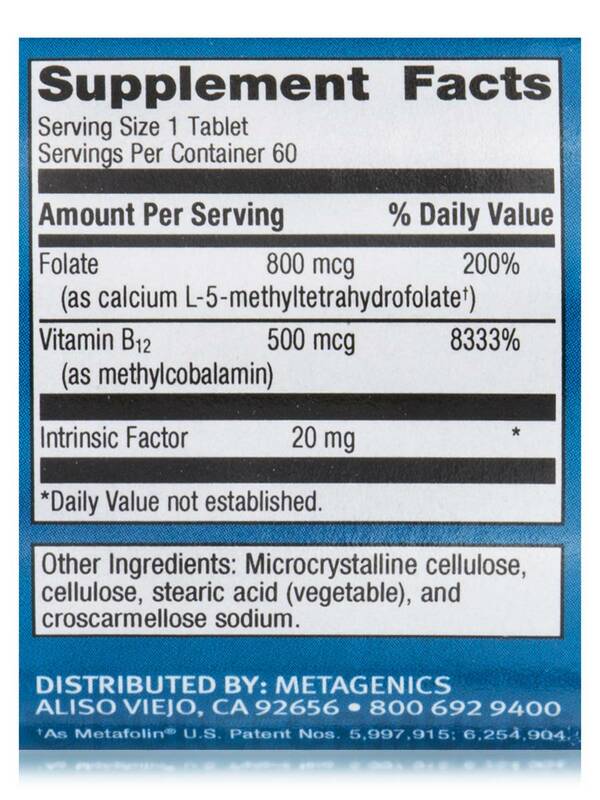 ?As Metafolin® U.S. Patent Nos. 5,997,915; 6,254,904. Take one tablet daily or as directed by your healthcare practitioner.